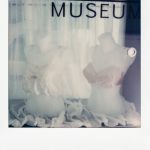 ‘The Big Reveal’ was displayed at The Fashion Space Gallery’s Vitrine display at London College of Fashion until 10th July 2017. The physical exhibition is now closed, but this digital exhibition allows you to explore the objects selected for the exhibition in greater detail. Simply click the images to be taken to their object page with more contextual information and photos. Exhibition curated by Videos by Gill MacGregor, MA Fashion Curation, London College of Fashion, and Sarah Hardcastle, MA Fashion Media Production, London College of Fashion. My curatorial theme for the display was focussed around the colours and aesthetic values of the items, rather than the objects themselves. Taking inspiration from shop windows from the 1920s-1960s, I wanted to produce a luxurious, intimate feeling around the case. 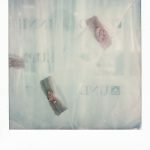 It was important not to overwhelm it with details; I wanted the objects to speak for themselves. 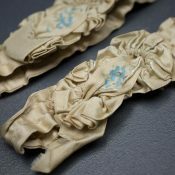 Whilst the museum has some incredibly beautiful examples of corsetry, I made a conscious decision to avoid using them, as corsetry tends to be the focus of most underwear exhibitions and I wanted to show the range of items which the museum has; objects which don’t always receive the same level of attention. The museum’s strong branding was integral to the display: suggesting simple, refined elegance, I wanted this first display of items from the collection to feed directly back into the brand. I have a BA in Costume Design and Construction and am currently studying an MA in Fashion Curation at London College of Fashion. 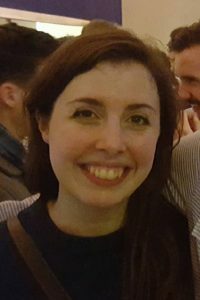 Since finishing my BA, I have worked extensively in the West End and toured productions both nationally and internationally. 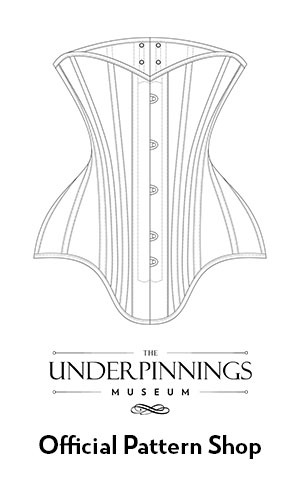 I’ve always had an avid interest in historical garments and the opportunity to collaborate with the Underpinnings Museum has been incredibly exciting. This is my first public display. These knickers combine luxurious construction techniques with erotically charged design; a garment unconcerned with function and practical design. Rising to the natural waist, the knickers have an exterior and lining of silk satin, with elastication at the waist and legs concealed within. 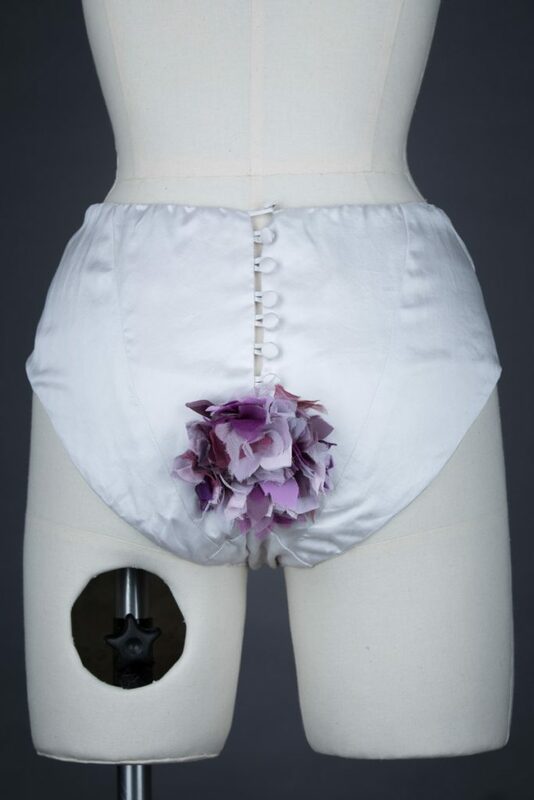 The rear of the knickers opens to a row of functional silk covered buttons and accompanying loops, leading to an extravagant silk flower. The flower embellishment is constructed from hand cut and sewn petals in a range of different silk weaves and colours with hand knotted embroidery floss ‘stamens’, offering textural and tonal intrigue. 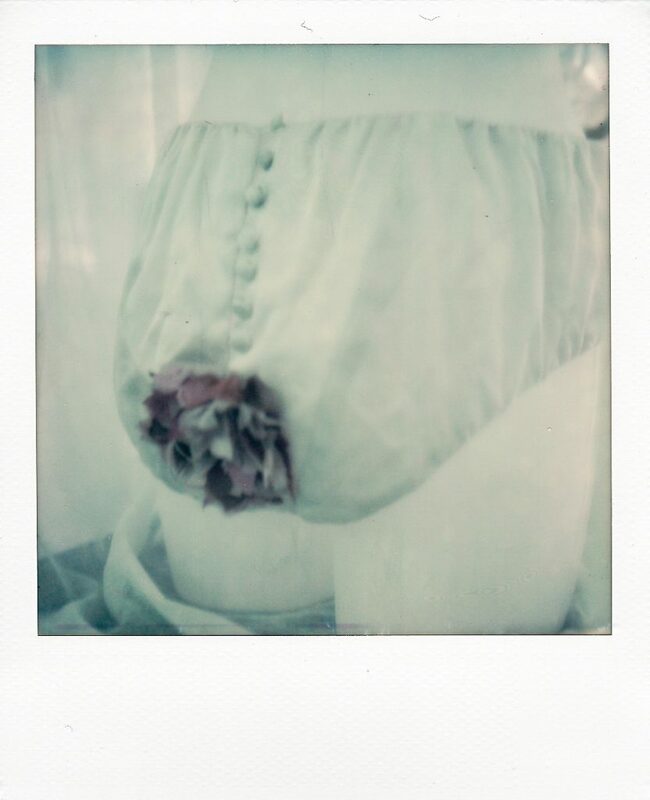 The raw edges of the petals would allow the knicker to evolve through wear, gradually fraying and changing in shape, echoing the natural variance of real flowers. A collaboration between Fine Artists Melanie Probert and Lisa Z. Morgan,Strumpet & Pink was their quest to create the perfect pair of knickers. 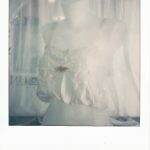 A radical approach to underwear saw the pair experiment with luxurious textiles and details that the lingerie world had not seen before, creating couture, erotically charged wearable art. Sadly Melanie Probert passed away in 2015. 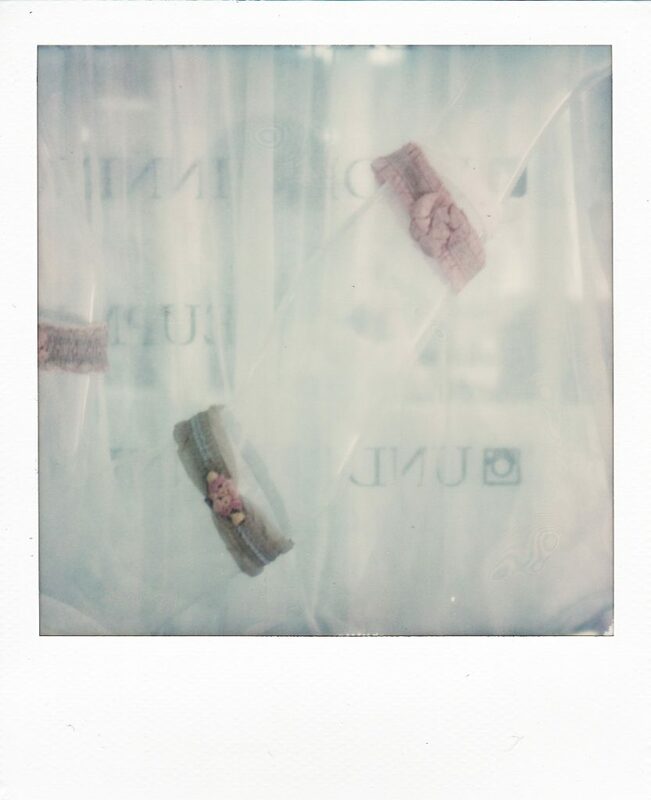 Lisa Z. Morgan continue to create Art, which can be followed on her blog ‘The Pink Investigator’. 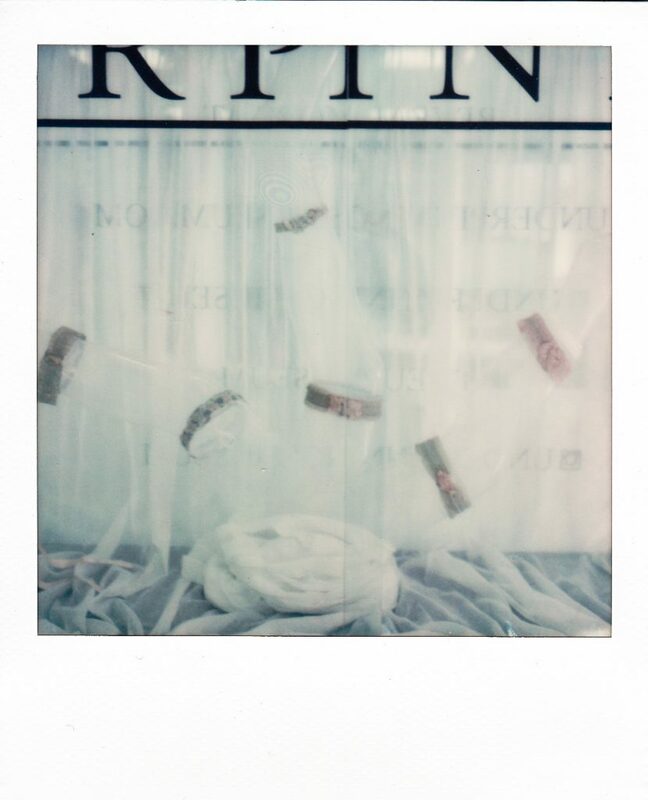 An archive of the brand’s design work can still be viewed on its website. 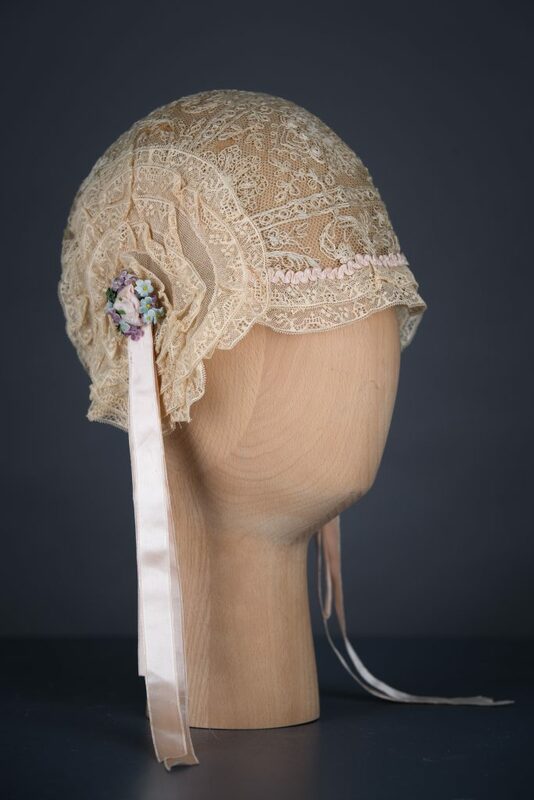 The boudoir cap was originally a type of lingerie headwear, most commonly worn during the nineteenth to early twentieth centuries. 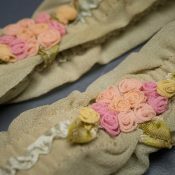 It was originally worn over undressed hair, worn in the privacy of the boudoir alongside nightwear. In the 1910s and 1920s, it would be commonly worn to protect shorter hair styles during sleep. 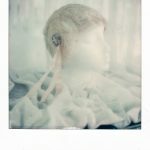 As the designs became more and more elaborate towards the 1930s, it began to be considered more of a decorative hair net. 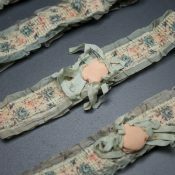 Like other forms of lingerie, boudoir caps were usually made in fine fabrics such as lace, tulle and satin. 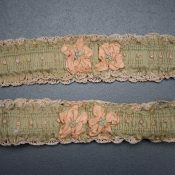 Embellishment was often profuse, with techniques such as ribbonwork being particularly commonplace. 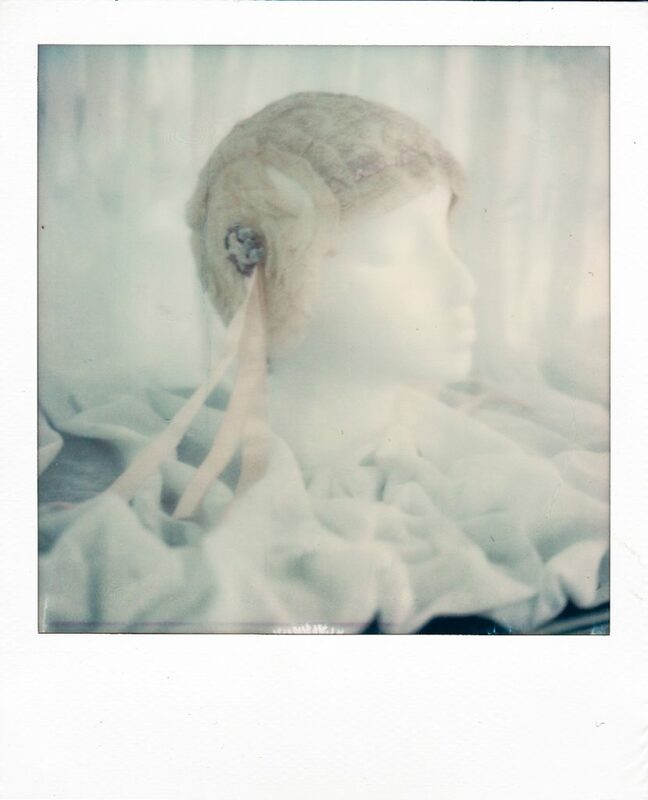 This cap is made with a base of varying weights of bobbinet tulle. The thicker of the tulles is used as a base of profuse hand embroidery that covers the majority of the cap, with a seam across the horizontal centre of the cap. A finer weight of tulle is used on round panels on either side. Both side panels are embellished with 5 circular layers of ruched, fine, leavers lace, finished with a a cluster of velvet flowers and silk ribbon streamers. The back hem is trimmed with a single layer of ruched leavers lace. The front hem of the cap has two layers of the lace, with a layer of ruched silk ribbonwork. The garment is largely sewn by hand, with the exception of the lace trims and side panels, that appear to have been attached by machine. Please click indvidual photos for further information. Garters were commonly worn to keep stockings up just above the knee until the popularisation of suspenders, whether attached to corsets or a belt. 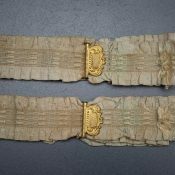 Until the invention of elastic, garters were tied onto the body with ribbon. Elastication allowed for a more comfortable and flexible fit. These relatively small garments often became canvasses for profuse embellishment, with techniques such as ribbonwork and embroidery becoming commonplace. 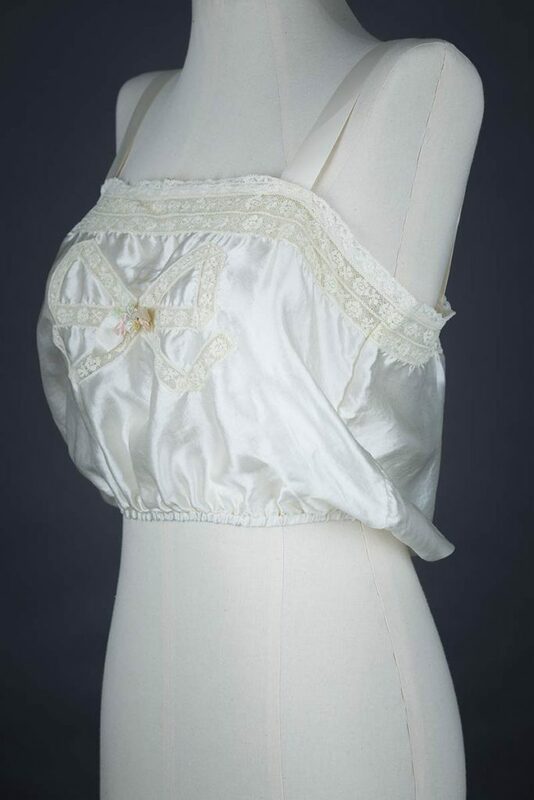 A white silk camisole in a simple rectangular cut, gathered in under the bust with elastic. The top edge of the camisole is trimmed with 3 tiers of cotton Valenciennes-style leavers lace trim. The front of the camisole has profuse embellishment, with lace trim shaped into an appliquéd bow motif with the silk backing cut away. The centre of the bow motif has multi-toned silk ribbonwork in floral motifs. 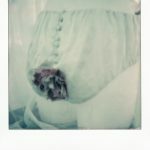 The camisole is sewn with a mix of machine and hand stitching, but appears to have had multiple contemporary alterations. 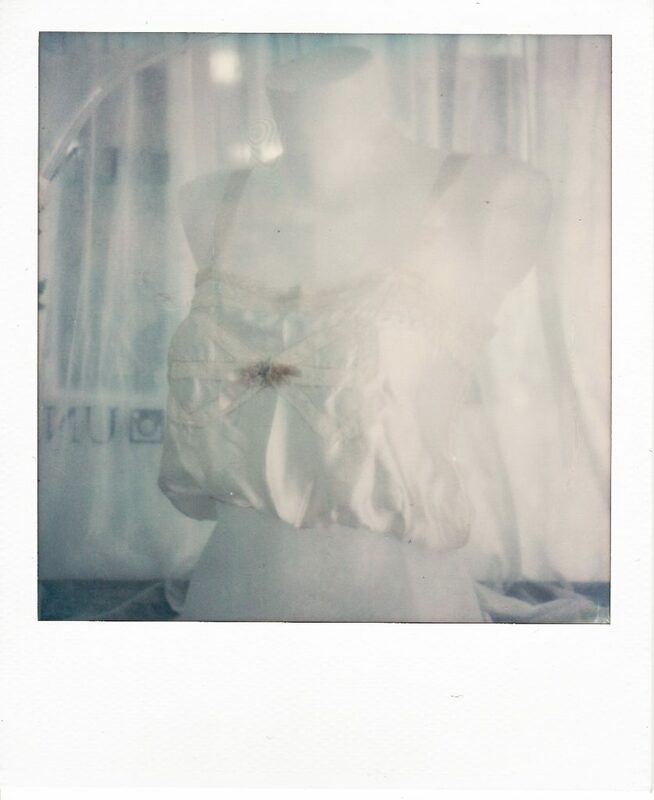 This bra is made from a mix of rayon satin panelling, leavers lace and a cotton bobbinet tulle liner. There is a short piece of elastic at the centre back of the bra for a small amount of adjustability, whilst the straps are made of unadjustable rayon ribbon. It fastens at the centre back with rayon loops and buttons. The bra is entirely machine stitched. 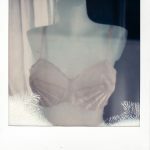 The cups are constructed with a mix of cotton bobbinet lining, raw edge rayon seams and tulle taping. The cups have a ‘sunburst’ design on the bottom half of the cup, with alternating panels of rayon satin and lace. 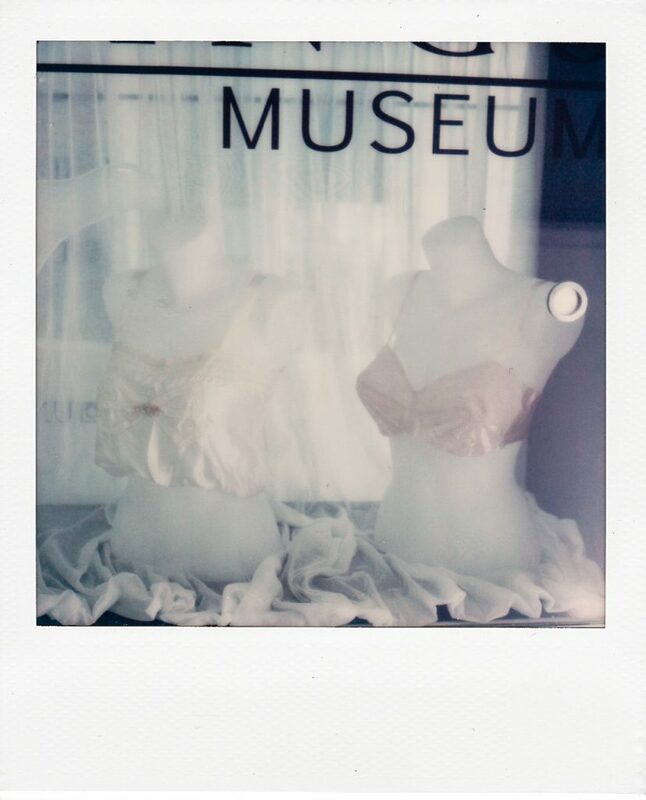 The bra gives a slightly lifted and pointed bust shape, in line with the fashions of the 1930s. 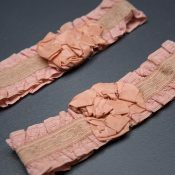 The first manufactured fibres, developed from cellulose in the late nineteenth century, became extremely important to manufacturers of women’s underwear and hosiery in the 1920s and 30s. Originally known as artificial silk or ‘art silk’, viscose was used in the production of underwear extensively in the 20s and became known as rayon in 1925. 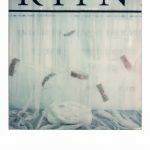 The rayon used is an excellent example of the fibre being used as a more affordable alternative to silk, giving a similar appearance for a fraction of the price and with easier care and washing requirements.